Xiaomi Redmi Go is the first smartphone by Xiaomi to run on Android Go. 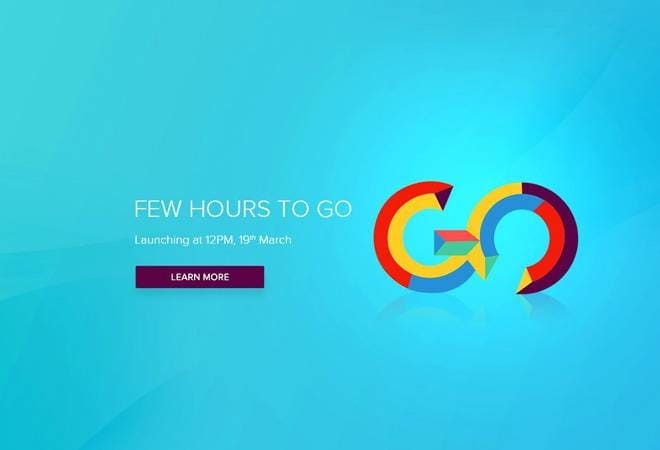 Xiaomi will launch its first Android Go affiliated smartphone, the Redmi Go, in India at 12:00 in the noon today. With this smartphone at an extremely affordable price point, Xiaomi is looking to appeal to the first time smartphone user in the India market. The price tag for Xiaomi Redmi Go is expected to be below Rs 5,000. The Xiaomi Redmi Go is already listed on Flipkart, which means it can be bought from e-tailer's website, as well as Xiaomi's own official website Mi.com and Mi Home stores. The launch event in New Delhi will be live streamed on the Mi.com as well as Flipkart.com. While Xiaomi's Redmi line of phones is known for bringing affordable offerings in the mid-range segment, this is the first time the Chinese tech giant has steered its sub-brand into the Android Go territory which promises affordable entry-level smartphones. Android Go comes with its own suite of streamlined Google applications like YouTube Go, Maps Go, Files Go and more, for delivering the complete experience despite not-so-powerful hardware. Coming to expected specifications, the Xiaomi Redmi Go might come with a quad-core Qualcomm Snapdragon SoC clocked at 1.4GHz. The device will be available in a single variant with 1GB of RAM and 8GB of internal storage which can be expanded to 128GB via microSD card. On the optics front, the Redmi Go could come with 8MP rear camera with LED flash and a 5MP front camera. The battery on the Android Go smartphone could be a 3,000mAh unit, which should be enough, given the less-demanding hardware. In India, the Xiaomi Redmi Go could with Hindi support for Google Assistant as well as support for more than 20 regional languages. The price for Xiaomi Redmi Go might range between Rs 3,000 and Rs 4,000. This price tag puts it in competition with the likes of Nokia 1, Samsung J2 Core, and even the JioPhone 2.